As noted on Health, eggs are definitely among the most versatile ingredients ever and they are commonly used for almost every meal of the day, we eat them scrambled for a rich breakfast or boiled for a colorful dinner salad. This being said, eggs are also one of the most frequently discussed foods in the sphere of nutrition and there is also a lot of controversy surrounding them, i.e., once they were thought to be bad for our health due to their cholesterol whereas nowadays, research indicates that egg consumption does not elevate the chance for heart illness and that they are actually abundant in highly beneficial nutrients that can better the overall health and well-being on multiple levels. 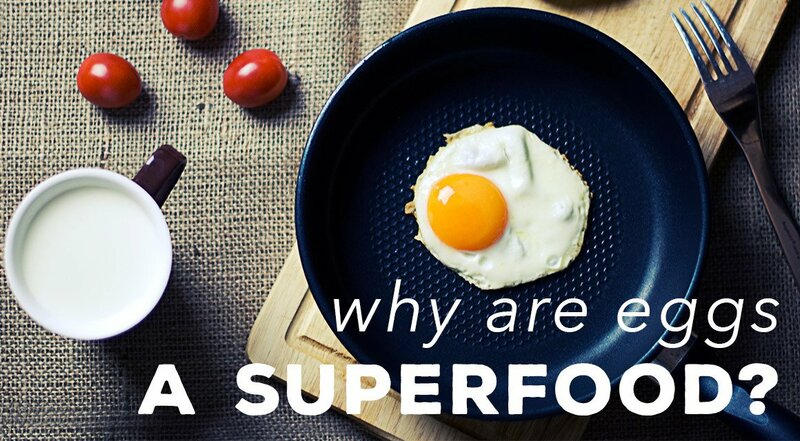 Eggs now have a “superfood status” and are often recommended as a vital food for a healthy and balanced diet. So, what are the things that have earned them this status? According to The Conversation, nutrition-related guidelines and recommendations are changing all the time due to new research and as a result, a lot of foods have passed through a period of having bad reputation to a period when they are considered safe and healthy for consumption. One such food is eggs. Once, they were deemed unhealthy for the heart because one medium-sized egg has around 185 mg of cholesterol, which was thought to increase the blood cholesterol. But, newest research indicates that balanced consumption of dietary cholesterol does not have a strong impact on the levels of cholesterol in our blood, as suggested on The Conversation. Opposite to the inaccurate assumptions from the past, eggs actually elevate the good cholesterol and change the bad one from small and dense to large. Also, according to Health Line, eggs have no association with stroke or heart disease and this was shown through numerous studies. Now, let us review the best ways in which eggs improve our health and why we should make them a part of our daily diets. Eggs contain two powerful antioxidants, zeaxanthin and lutein, and they are known to keep the eyes safe from harmful sunrays and also decrease the chance of eye-related illnesses like cataracts and macular degeneration. Eggs contain vitamins, minerals, 9 essential amino acids, good fats, protein, and numerous trace nutrients. Most of the nutrients are present in the yolk, so make sure you consume it together with the egg white. Eggs can keep us full longer and as a result, we intake a smaller amount of calories, which consequently contributes in BMI, waist circumference, body fat, and weight reduction. Therefore, if you are following a low-calorie diet, eggs are the ideal breakfast for you! As pointed out on Health Line, eggs are lavish in choline, a crucial nutrient for our overall health which is necessary for multiple processes taking place in the body. It is needed for the synthesis of acetylcholine, a neurotransmitter, and it is also part of cell membranes. Insufficient intake of choline has been linked to heart illness, neurological disorders, as well as liver illnesses. It is also pivotal to note that choline is necessary during pregnancy in order to decrease the chance of neural tube defects and cognitive problems in the fetus. One big egg will supply you with amazing 113 mg of this beneficial compound! Without doubt, as explained on Natural Food Series, a cancer-preventive diet should include eggs on the regular. This is because studies indicate that the choline from eggs has the ability to decrease the risk of breast tumor. If you want to enhance your workout or go through your next marathon easier, eggs are what you need, according to Natural Food Series. This is due to the protein present in eggs, which is needed for the synthesis and maintenance of muscles, which is directly linked to our endurance and strength. Since the protein’s quality is what determines how much your performance will improve, it is advantageous to know that there is not a more ideal protein than the one present in eggs. As Kayla James explains in her article, vitamin D is needed for healthy and strong bones, however, this is a vitamin which the body cannot produce on its own and we rely on external sources to get it. The major sources are the sunrays and supplementation, as well as a few foods, including eggs. Did you know that egg consumption can better the quality of your hair and nails due to their abundance of amino acids and minerals and vitamins? What’s more, as emphasized on Health 24, a lot of individuals have reported increased hair growth after consuming eggs on a regular basis, especially if they were lacking foods abundant in vitamin A and B12, sulphur, and zinc. As many of you may already know, iron is an essential nutrient for a strong immunity, oxygen transportation, and energy metabolism. This is why people suffering from iron deficiency are prone to fatigue, irritability, as well as headaches. With this in mind, eggs, especially the yolk, can be of great aid in fighting off insomnia because the iron in it is in the form of heme iron or the most absorbable form of iron found in food and more usable than any other iron form present in most supplements, according to Health 24. As we could see from the aforementioned list, eggs are no longer a demonized food. What’s more, an increasing number of studies and research actually point out that eggs do not elevate the bad cholesterol in the blood and nowadays, they are considered to be a superfood due to the exceptional health advantages they offer, from improving the quality and health of the nails and hair and making the bones stronger to decreasing the risk of breast cancer and encouraging a healthy loss of pounds. Amazing, right?